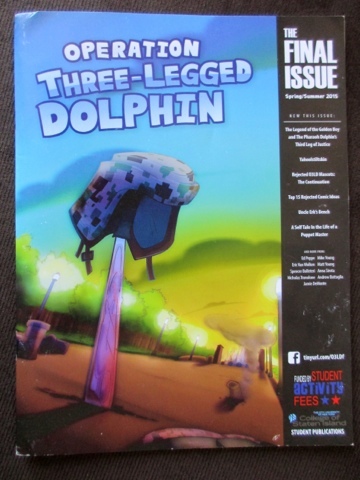 We’ve just released the final issue of Operation Three-Legged Dolphin, featuring a last hurrah from each contributor of the original staff! O3LD may resume in a new form someday, and we'll all be ready for it when that day comes. In the meanwhile, may we always be dolphins at heart. We’ll be sure to see you real soon!